"We have some serious concerns in the Burnett County Area." We have some serious concerns in the Burnett County Area which will also affect Polk County due to heavy clay-based soil, groundwater runoff, area watersheds, lakes and the St. Croix River. Cumberland LLC. aka Suidae Health and Production from Iowa has submitted a Preliminary Application to the DNR for a CAFO (Concentrated Animal Feeding Operations) to build 3 barns to contain 26,350 pigs in Northwest Wisconsin, Burnett County, Trade Lake Township. Suidae Health & Production has purchased 12884 STATE RD 48, Grantsburg, WI 54840 Section 7 of Trade Lake Township. This area has a clay base – as the law of the land, whatever goes onto the ground WILL end up in the water. Whether it be drinking water or lake water. A clay base has much more potential for runoff which means it will likely go into our lakes; there are 6 lakes within a 3-mile radius, many creeks and rivers plus Grettum Flowage and the Fish Lake Wildlife area. Their plan projects they will use 15,000 gallons of water per day (this number is not practical when you look at 26,350 pigs; even if each pig only drinks 1 gallon/day (for a health adult pig, they drink 3-7 gallons/day) that would be 26,350 gallons/day if they limit each pig to just 1 gallon/day of drinking water. This does not take into account cleaning anything. What goes in must come out. That brings me back to the clay base & water runoff. They will inject the manure into the ground but the soil is heavy and has much runoff. Liquid manure storage under the facility of 6.8 million gallons, which needs to be emptied and spread/injected somewhere. All on less than 39 acres of land. We are a populated area, within ¼ mile of the site are 10 homes. Within a 1-mile radius are 47 homes. Within a 2-mile radius are 125 homes. All home are occupied full-time. Plus, there are cabins & vacation homes. There are 6 lakes: Isaac Lake; Bass Lake; Spook Lake; Trade Lake (Big & Little); Peterson Lake and Big Wood Lake. There are also many stream, rivers and ponds within this area as well. Less than a mile and half from the proposed site is Grettum Flowage and Fish Lake Wildlife Refuge Area which flows into the St. Croix River. This region of Wisconsin is rated as the highest level of susceptibility for groundwater contamination in the state according to Wisconsin Dept. of Natural Resources. This facility will obviously produce a great amount of manure waster....where will it all go? There are a number of environmental concerns: water runoff, pollution of groundwater, pollution of area wells, dry-up of our area well, increased truck traffic, potential negative effects on property values, air quality, increased potential for health issues due to water and air contamination. There is a certified organic farmer in the area already faced with trouble if this facility's application is approved. He has been told by the certification board that he will have to put in a new well at a depth of 400 feet to maintain his organic status and he would be required to put in a well at each of his 5 fields, if this company is granted approval. Bedrock in our area is 300 feet, he most likely will lose his organic status if this facility is granted their approval. Which means he will lose his livelihood for his family. This issue affects our community as a whole and we are concerned for our area. - Romona Moody - Grantsburg, Wisconsin. 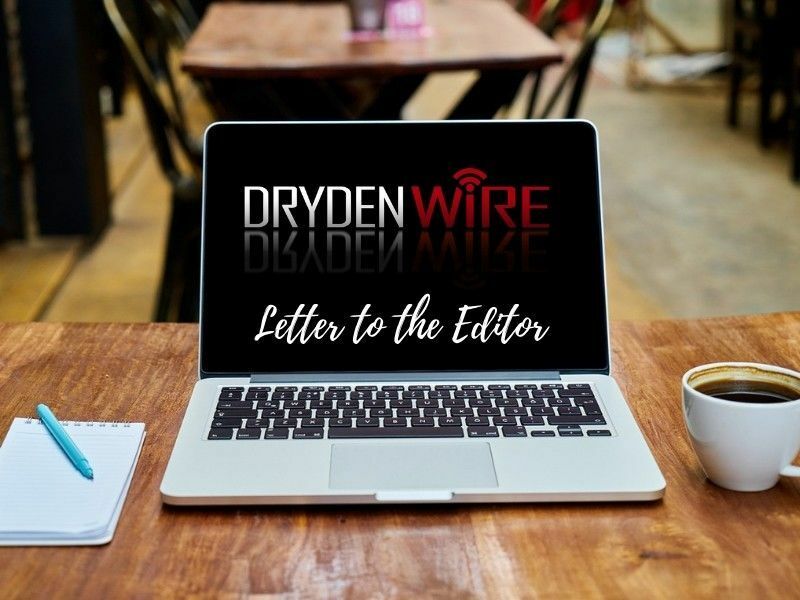 The views and opinions expressed in this submitted article are those of the authors and do not necessarily reflect the position or views of DrydenWire.com.